Any type of oil industry like Edible Oil,Lube Oil,Coconut Oil etc. • 4 Filling Stations, space saving design. • Pneumatically controlled nozzles, with ‘No Container No Fill’ arrangement. • Drip free nozzle arrangement. 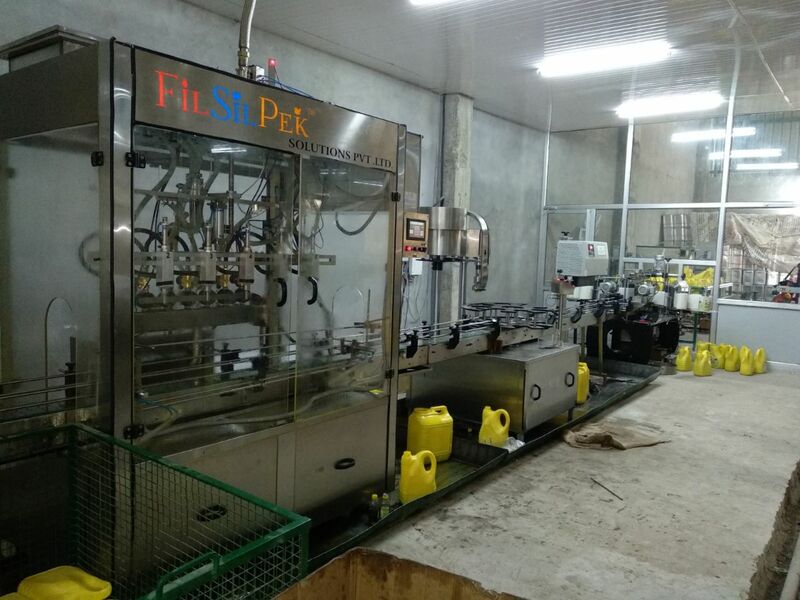 • Reciprocating filling nozzle with self-centering device. 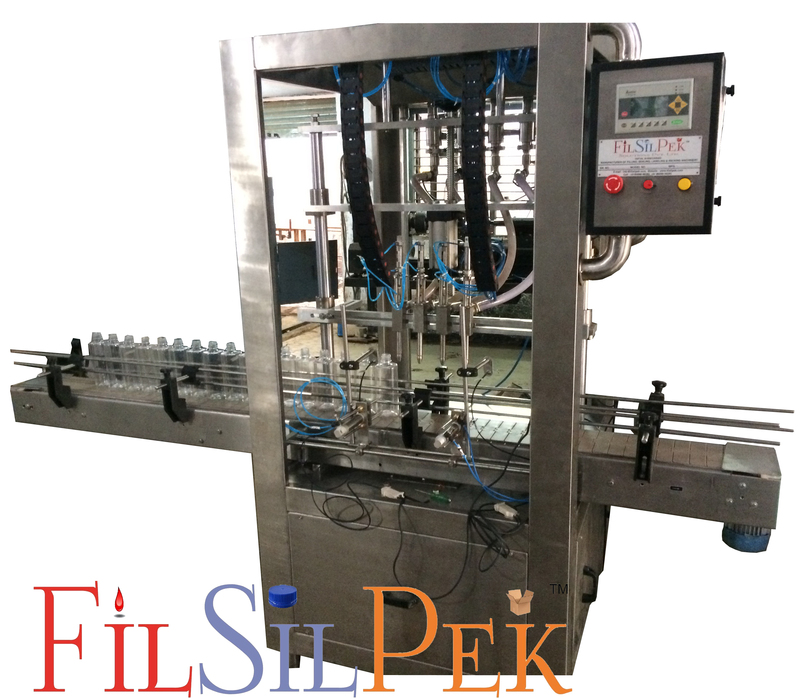 • Pneumatically operated bottle stopper.